Where there’s fire there’s a PR crisis. Thanks to the Ford Kuga catastrophe, South Africans are particularly jittery about burning cars, and quick to perceive a pattern. Listen to this week's Consumerwatch's topic below or read the details under the podcast. Incidentally, the issue is about to explode into the headlines again - the National Consumer Commission is almost ready to release its long-awaited investigative report into whether Ford SA and its sister companies were guilty of “prohibited conduct” with respect to the scores of Kuga SUVs which caught fire. Meanwhile, it’s burning Audis which are being shared and retweeted by South Africans on social media at the moment, with Audi SA adamant that the “Audis are a fire hazard” narrative is not justified. That’s as opposed to the Ford Kuga fires which were very specific - failures in a specific model’s coolant system, which caused them to overheat and catch fire. “Each Audi case has been managed separately with its own investigation, findings and conclusions behind them,” Audi SA said. “In all examples, Audi has followed an extensive fire safety process in looking into the cases and has provided relevant assistance options to each customer in line with our company policies and guidelines." The most recent Audi fire was just down the road from East Coast Radio House last Thursday on the M41 - the fire and the traffic chaos it caused was the lead item in one of our news bulletins that afternoon. And then talk about unfortunate timing - last week Audi South Africa notified affected owners of a “worldwide preventative campaign” to replace the heater element in certain models in order to prevent fire. It was incorrect to “assume” that the Audi fire cases featuring on social media were related to the “worldwide preventative campaign” for the heater element replacement, Audi SA’s PR manager Tashta Bhana said. “This campaign is a safety measure to proactively replace the part which may become blocked with deposits from the cooling system on certain vehicles,” she said. The models affected are the Audi A4, A5, A6, and Q5 with the 2.0l TFSI engine, produced between 2012 and 2017 - about 600 cars in South Africa. “It is possible that the auxiliary heater element in the air-conditioning unit may fail. In rare cases this could lead to smoulder damage or even fire,” the notification says. None of the Audis which have caught fire in South Africa did so because of that heater element issue, Bhana says. “It’s just a preventative measure and there should be no public concern,” Audi says. 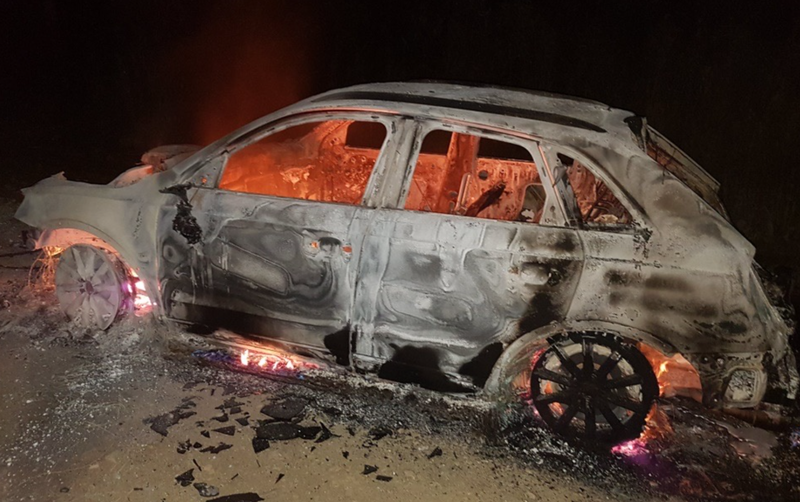 The “Audis burning” story is being stoked on social media by Capetonian Themba Mabasa, who has been at war with Audi SA since Easter when his three-year-old Audi TT burnt out completely during a long road trip from Cape Town to Limpopo. Car fires are not all that rare, sadly. And every car brand is the subject of recalls. Quite a lot of them. But perception is powerful, and Audi would do well to bear that in mind when communicating with Audi owners who experience car fires, and the public at large. For perspective, try Googling just about any car brand and the word fire and you’ll be convinced those cars are a serious fire risk. I did the exercise last night. Toyota is recalling Lexus models built 2007 -2011 - fuel diaphragm cracks may cause a fuel leak increasing the risk of fire. In the US, there have been more than 400 reports of Kia fires and there’s an outcry because a recall has yet to be issued. This month, someone in Jamaica posted a video on Twitter of a BMW X6 on fire, someone else posted pics of one on fire on the Maraisburg off-ramp, and a woman in Baltimore tweeted that her car was destroyed after a parked BMW X caught fire in a garage. Of course, having your car burst into flames is a horrifying, traumatising experience, especially when children are involved, and there’s a natural expectation that the manufacturer will take responsibility for the fire and the financial loss. When that doesn’t happen, the aggrieved turn to social media. Bottom line - for now, the Audi fires do not appear to be a repeat of the Kuga scenario, but it remains a burning issue.